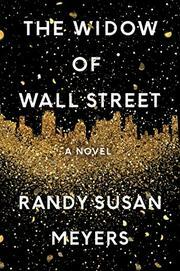 Meyers explores the troubled relationship between a couple during the husband's rise to riches and subsequent disgrace in a novel that mirrors the story of jailed financier Bernard Madoff and his broken family. Phoebe and Jake have been together since their teens, and when Phoebe—as a young college student—becomes pregnant by one of her professors, she makes Jake think it’s his child and they marry following a miscarriage. Jake then launches a legitimate brokerage, but his big moneymaker is something he calls The Club, a private investment company reserved exclusively for the well-heeled who measure up to his standards. The Club isn’t exactly aboveboard: it’s basically a Ponzi scheme and a way for Jake to skim large amounts of money from investors and line his own pockets while roping in more accounts. As Jake robs Peter to pay Paul, the story follows Phoebe’s venture into motherhood with two children, Noah and Katie, and her metamorphosis into Jake’s accomplice as he uses her to bring in more investors. This is a great read, even when the characters are shallow and self-absorbed. Phoebe comes across as a decent but clueless woman who wants to do the right thing but ends up ignoring all the signs that Jake’s business isn’t what it appears to be. The couple revels in their expensive lifestyle, with plates that cost more than many people make in a month and closets full of silk and cashmere. And while the journey Phoebe makes from pampered grand dame in a penthouse to humiliated pauper living hand to mouth is compelling, readers may find themselves skimming some of the more technical details of Jake’s finances. The plot is hardly unique, but the author’s skillful writing overcomes the “been there, read that” feeling.